Last week, I gave you a pretty revealing post about going to therapy. Seeking professional help is probably one of the best ways to start healing. Introspection is really hard work, especially when you’re trying to sort through the noise in your own head. Sometimes you need an objective someone outside of yourself to tell you what’s healthy and what’s not. You’ll find that’s a common theme in last week’s blog post. I also mentioned that I meditate a lot to help apply some of the tools I get from therapy…but what else can you do to maintain serenity? How can you keep yourself in check? Most people think of addiction or addictive behaviors are the result of substance abuse…but that couldn’t be further from the truth. People who abuse drugs are more inclined to do so as a result of a personality trait, not a need for any particular substance. Which means that addictions can happen at any time with anything. What’s more, the substance abuse or addiction is usually just a piece of the problem. There are underlying issues that make this person a dysfunctional human being; that’s their why. Basically, what I’m trying to say is that people abuse things because they’re messed up…they’re not messed up because they abuse things. Disclaimer: I’m not saying that drugs don’t create chemical dependencies within the body. Anything that your body gets used to having for long periods of time is gonna create a dependency on the substance anyway. But your body also becomes addicted/dependent upon the chemical effects and releases from your brain. You get addicted to feeling happy, or feeling sad, or being angry. All of these emotions are a result of chemical releases from your brain, and you get addicted to these chemicals. Which means you get addicted to whatever makes you feel the most of them. Basically, if it makes you feel something that your body has become dependent upon, you have the potential to become addicted. People are skeptical…like they are with therapy or psychology. Side note, I don’t know what it is about emotions that is so abhorrent to people. They’re part of your brain function. Your brain is an organ. So think of it like physical therapy or exercise, because the brain is a physical part of your body. It pumps out chemicals and when those chemicals are imbalanced, bad things happen. Boom. 12-step programs can be as helpful for your brain as clean food is for your digestive system. Sometimes, you gotta take vitamins and see a doctor. Everything else is maintenance. But what IS a 12-step program? Well, according to Addiction.com, the best definition is “a fellowship of people helping other people with an addiction or a compulsive behavior to obtain abstinence”. The end “goal” is to be able to stop abusing substances and/or restrain from compulsive behaviors that don’t serve us. You’ve heard of Alcoholics Anonymous, Narcotics Anonymous, maybe even Al-Anon (for friends & family of alcohol and drug abusers). 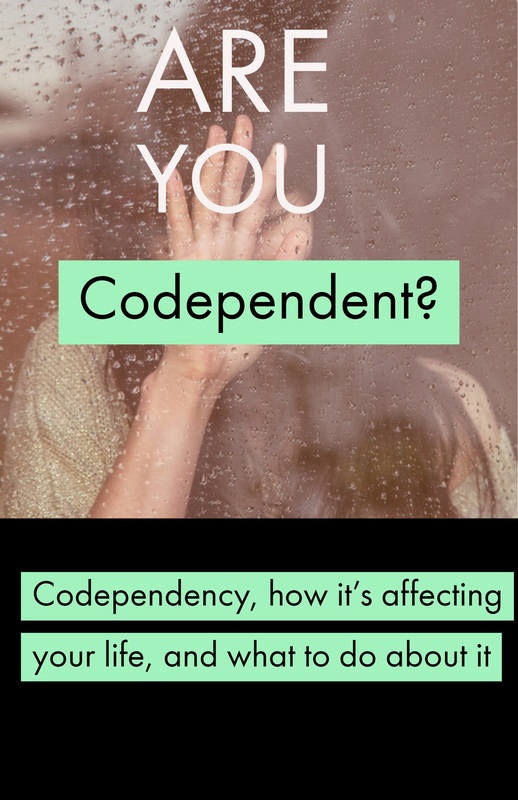 But today, we’re gonna talk about an illness that’s a little harder to detect, and much more insidious: codependency. Let’s say you live with a compulsive liar. They lie all the time, to the point that you can’t even tell what’s real and what’s not anymore. You can’t figure out why they can’t just stop. You always give them what they ask for even if they’re lying, because what if they’re not? Plus, if you accuse them of lying, everything will just be worse. There’ll be a fight or worse…they might leave you. So you rearrange your life, you play along with the lies, you cover for them with other people. And you hate them for it. Well, that’s the general gist of codependency. You’re so consumed with their dysfunction that you don’t realize that you’re taking it into your own life…and maybe even making it worse. Our lives are the way they are because we allow them to be. Because we have our own issues and our own impulses that we don’t keep in check. It’s hard to pinpoint exactly where this starts and ends because it’s a reactionary disease. We tend to fold around the actions of people around us, allowing us to overlook our role in our own lives. We relinquish control over our own destinies in order to keep the peace, or simply because we don’t think there’s anything better out there. It’s the 12-step program for “people without a problem”. The people who may not have an addiction to a substance or activity, but suffer from an addiction to people. Or an addiction to dysfunctional people. At least, that’s how I’m choosing to think of it. It makes the most sense, in my opinion. Helps give you a root cause to begin with so you can start deweeding your garden. Here’s a list of codependent personality traits from CoDA.org. If you think you might have more than a few traits on this list, then CoDA might be for you. All that being said, how you feelin’ now? It’s never easy to look in the mirror and know that we’re responsible for our own lives. We wanna blame something else, anything else, for our situation. At least we can take comfort in knowing that we’d never do this to ourselves, right? But we do do it to ourselves. All the time. And actually, this can be a really liberating thing. I mean, how much of a relief is it that you have the power to fix your life? You don’t have to wait around for someone else to stop what they’re doing. All you have to do is wake up one morning and say to yourself, “Ya know, today, I think I’ll try something else”…and then try it. Leave me a comment below! Yeah, there’s a wealth of information out there about this 🙂 . Will definitely continue to write on topics like this one.